If your home lacks ventilation, a wall mounted fan could be just the solution you are looking for. Generally, they are relatively cheap and they do not require any major home reconstruction--you can simply screw them to the wall and plug them in, to get the air circulating in your home. It is relatively easy to mount a wall fan. Choose your height. This is completely a matter of personal taste, although you may want to consider factors such as air circulation, visual effect and children’s safety when you are deciding at what height you want a wall mounted fan to be hung. Make a line with a pencil at the height you choose as a reference point. Use an electronic stud finder. This is a tool which can locate the strong stanchions located inside your wall. These studs are by far the most secure point to hang your fan from--or any other shelf or cabinet for that matter. Hang the fan by its mounting bracket. When you have found the studs at the height you wish to hang your fan attach the mounting bracket to the wall. The mounting bracket is attached to the wall fan, and you can mount it very simply using strong screws and a power drill. When you have mounted the fan push and pull the fan firmly to ensure it is securely in place on the wall. Plug the fan in. 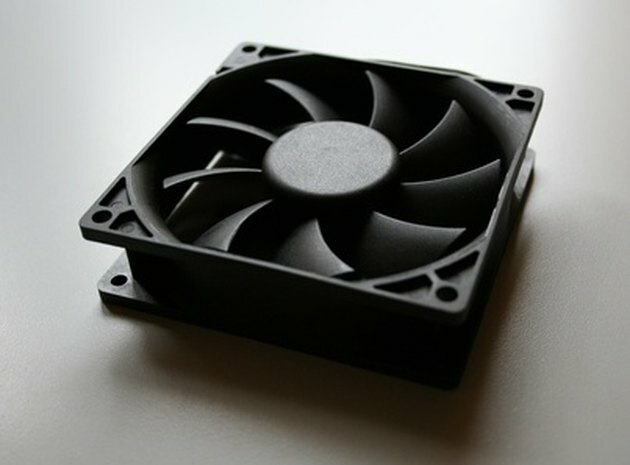 Once the fan has been screwed to the wall, it is a simple case of plugging the fan in. Ideally the fan will be mounted near a plug socket, but most wall fans generally have a fairly lengthy plug cable. Use wire staples to fasten the plug cable to the bottom of your wall if the plug socket is far away and you are conscious of having wires trailing along the floor.